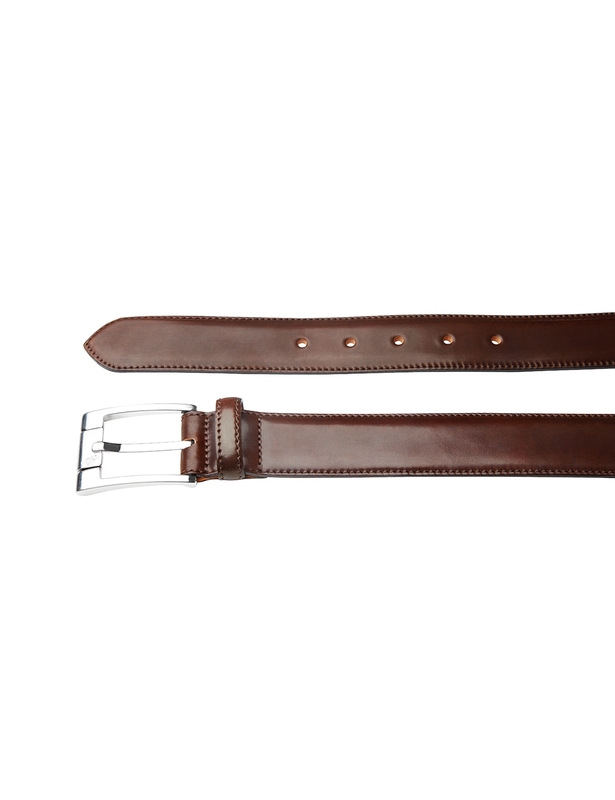 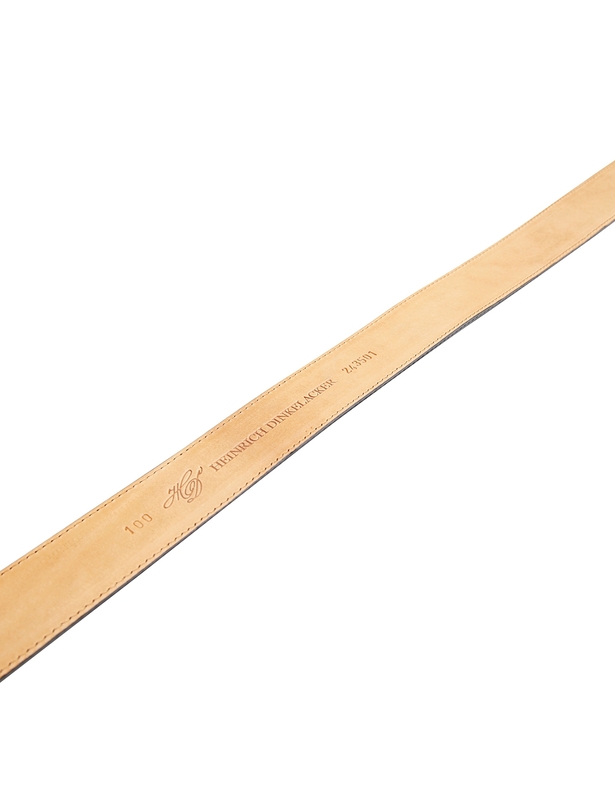 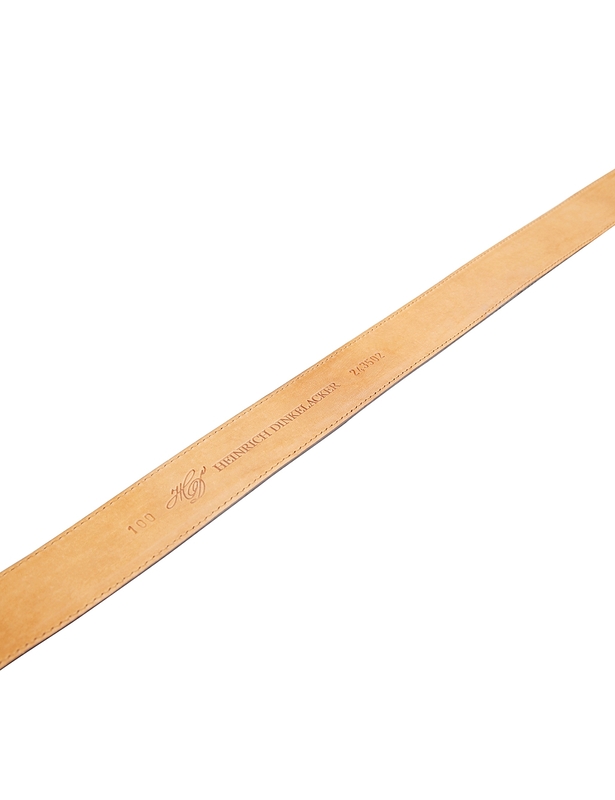 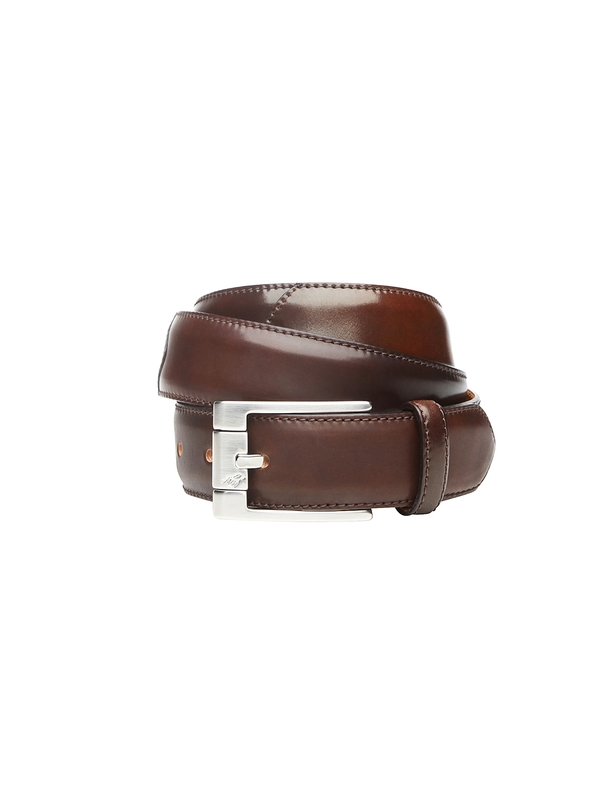 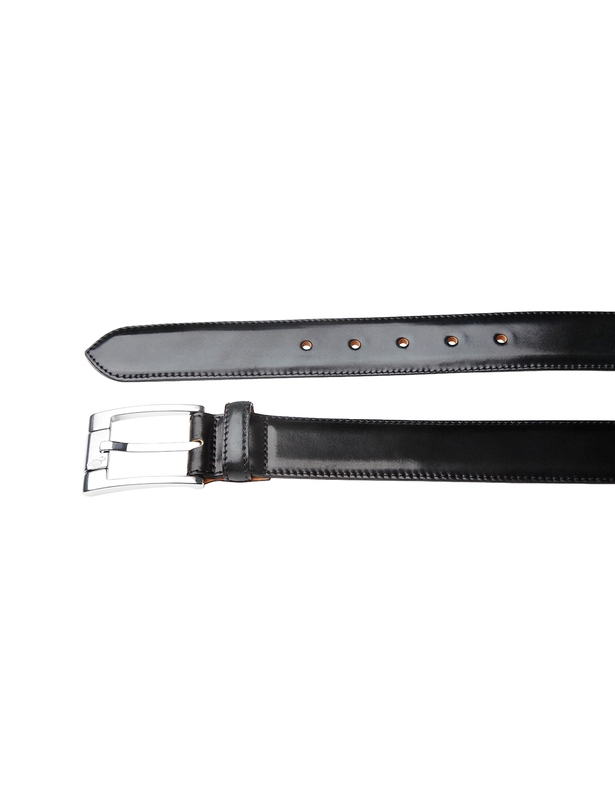 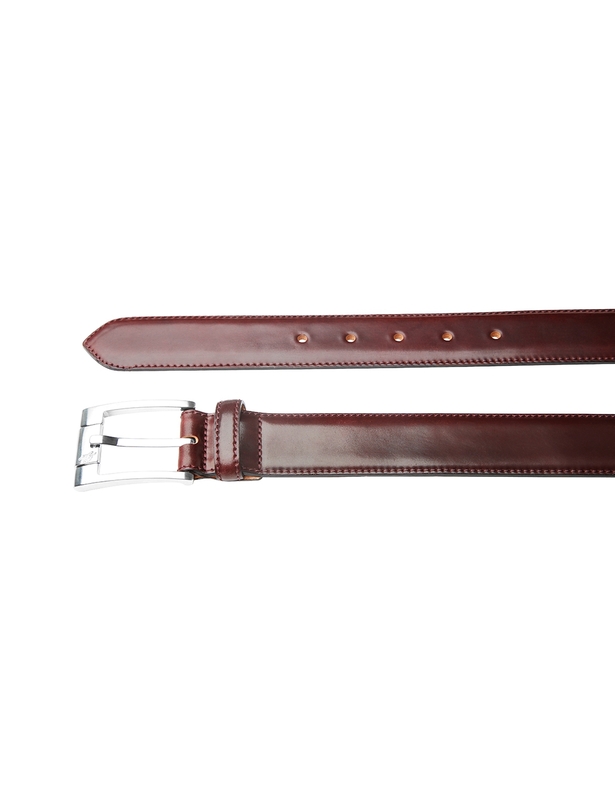 This handmade full-leather belt for men is as sophisticated as the Dinkelacker shoes made of luxurious shell cordovan. 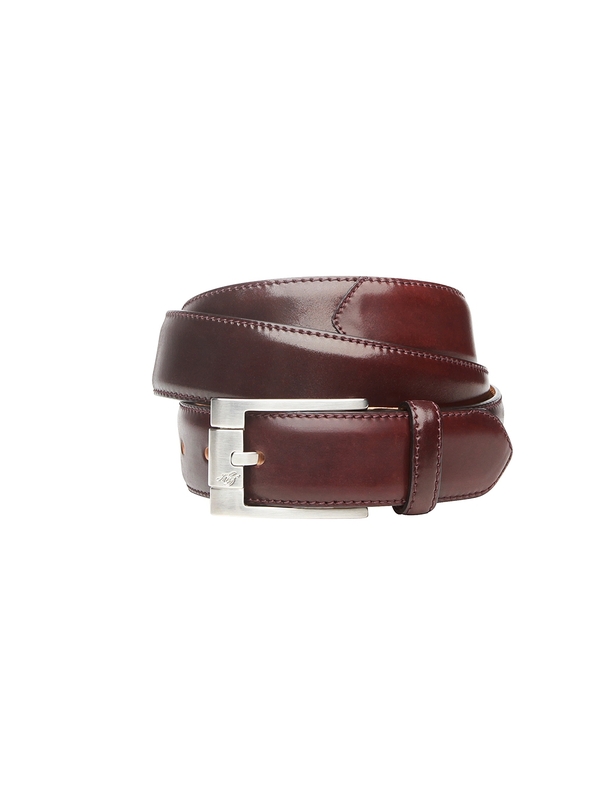 While its outside features the famous Horween horse leather from Chicago, its inside is made of exquisite, premium cowhide. 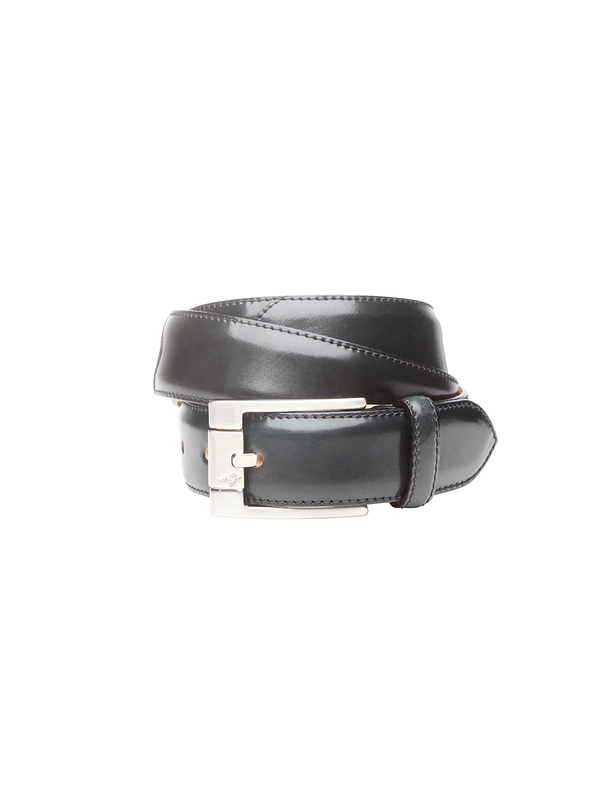 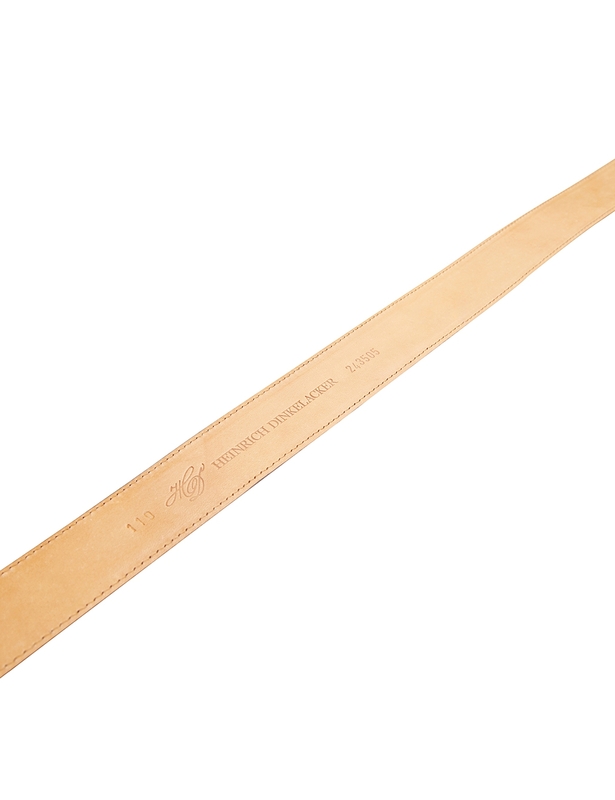 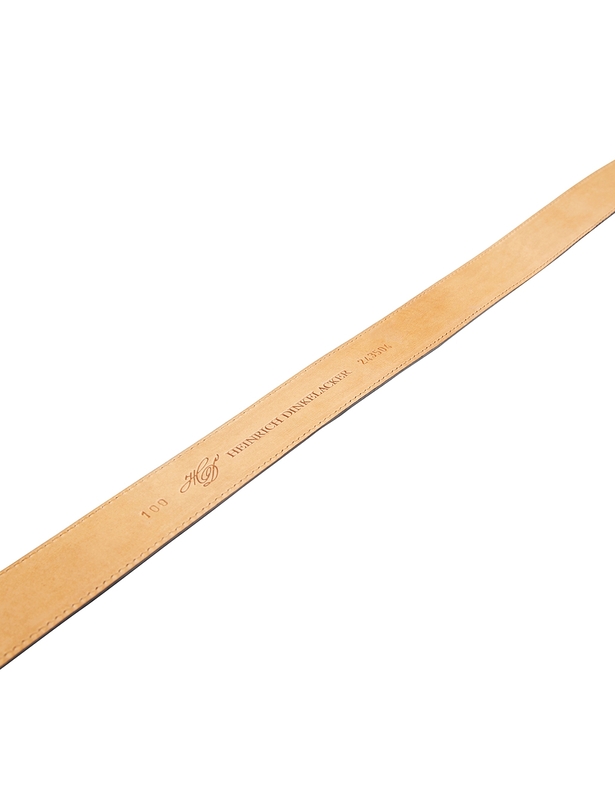 The two leather sections, both 35 mm wide, are stitched tightly together in an Italian factory. 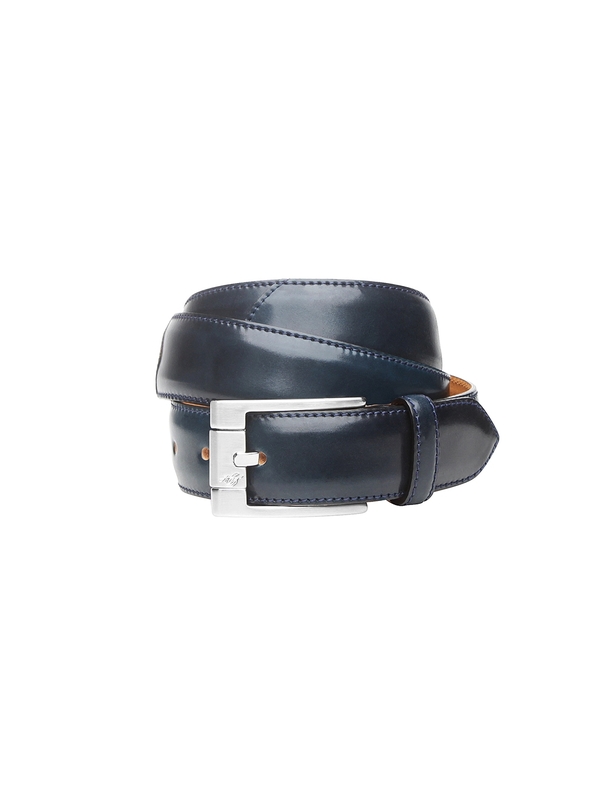 The tasteful appearance is complemented by a silver belt buckle made from zamak, boasting the Heinrich Dinkelacker emblem. An exquisite accessory for a sophisticated combination.